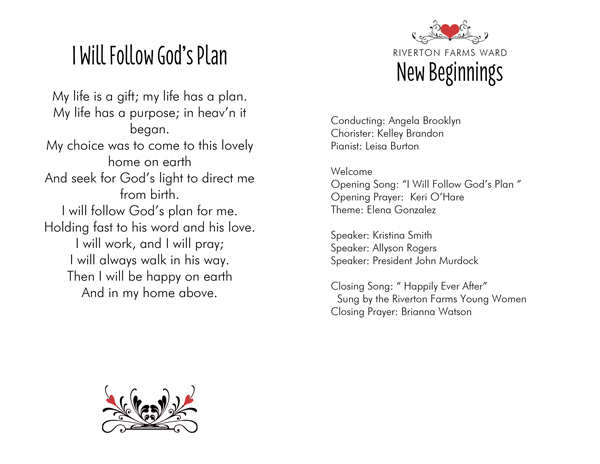 I am excited to share with you the printables I made for this event including a storybook invitation, program cover, logos and photo cards. You can download them at the bottom of this article. Our program featured talks by three of our young women as well as one by our featured speaker, a member of the Stake Presidency. He elaborated on Elder Uchtdorf’s message and even brought along his adorable young granddaughter who was dressed as a princess. Our color scheme was red and black. 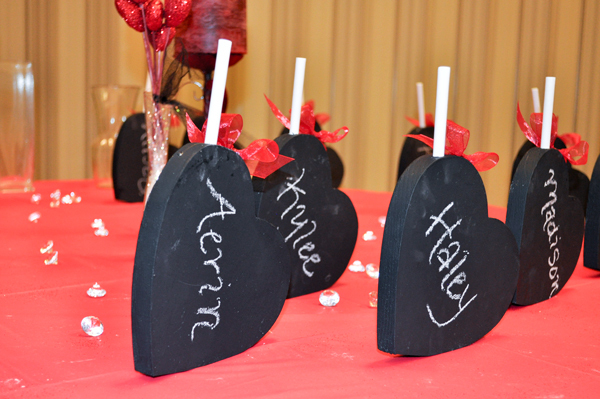 For handouts we presented each girl with a single red rose and a chalkboard-painted heart to put in their rooms. 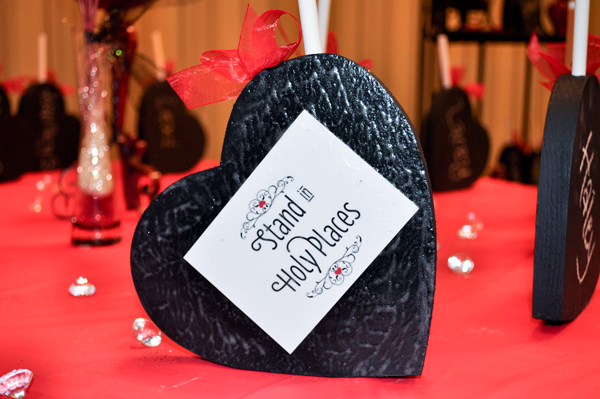 A talented brother in our stake cut the hearts out of thick wood and then we YW leaders painted them with black chalkboard paint. As an additional touch, we drilled a hole in the top of each heart big enough to hold a piece of chalk and then glued on a red bow. On the back, we used Mod Podge to apply a photo card with this year’s Mutual Theme. (The photo cards can be downloaded below.) We used chalk to write each girl’s name on a heart. 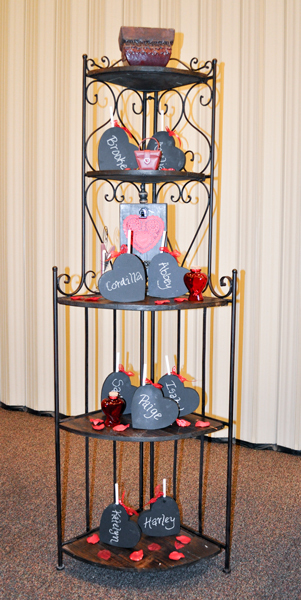 We decorated with Valentine’s Day heart-themed decorations that each leader brought from home as well as with red rose petals, crystal diamonds and the chalkboard hearts. 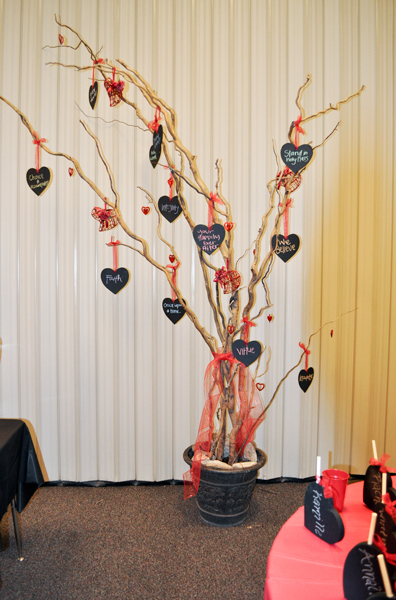 Since we use a “tree” made out of branches stuck in a pot at all of our events, this time we hung our tree with wooden chalkboard hearts cut from thinner wood and threaded with red ribbon at the top. Written in chalk on each heart was one of the Young Women values. 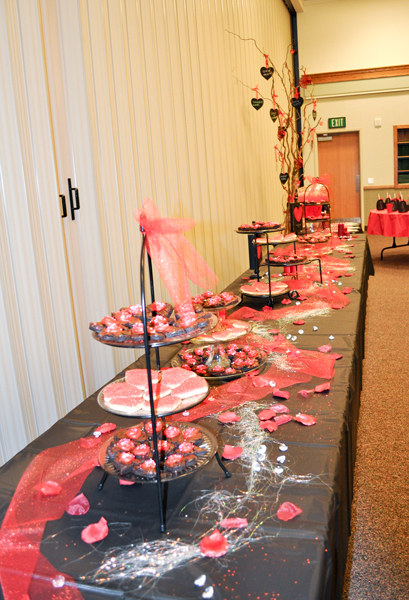 For refreshments, one of our fabulous leaders made heart-shaped brownies (cut out with a cookie cutter) and frosted them with red frosting and another leader made heart-shaped sugar cookies with pink frosting. 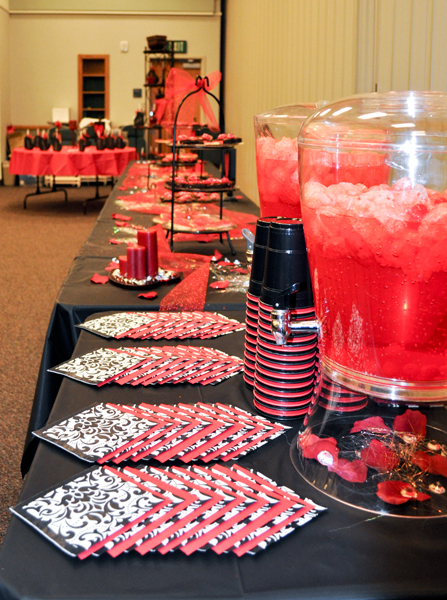 We also served red punch. 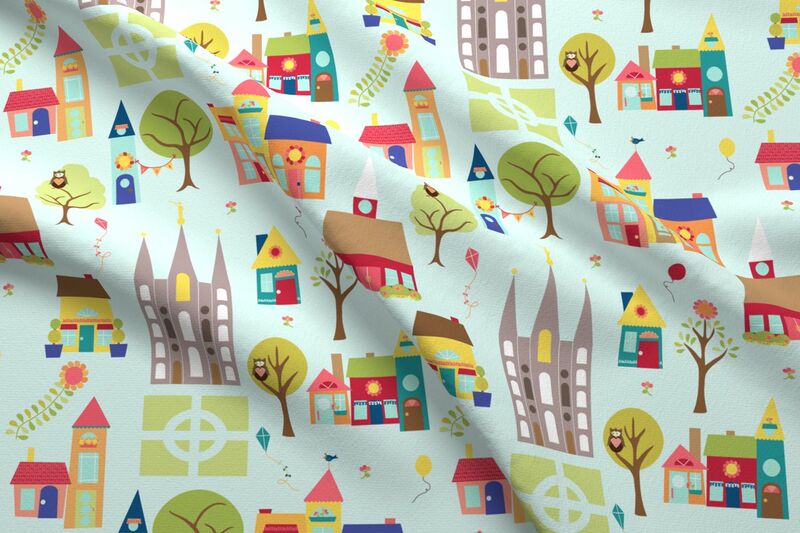 And now for the printables! Please remember all my files are for noncommercial personal or Church use only. Please do not share them in any way–send your friends here to download their own copies. You will need to unzip the downloads before you can access the files. Enjoy! 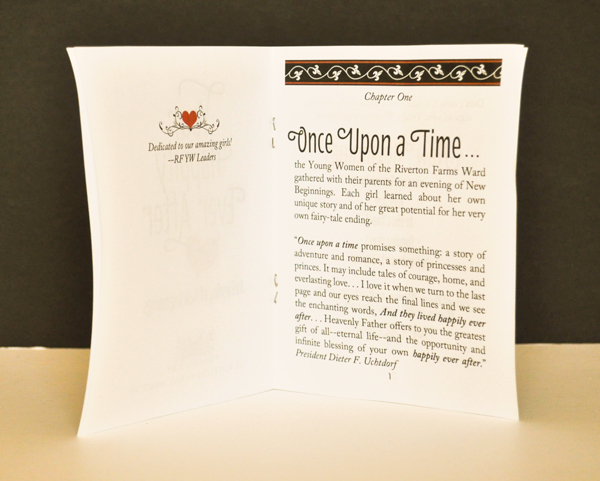 To go along with the fairy-tale theme, I created a mini storybook invitation featuring front and back covers, title page, dedication page, story page and invitation information page. I printed the cover on white cardstock and then printed the inside pages back-to-back on copy paper. After folding both the cover and the inside-page insert in half, I stapled them together to form a booklet the size of a quarter page. 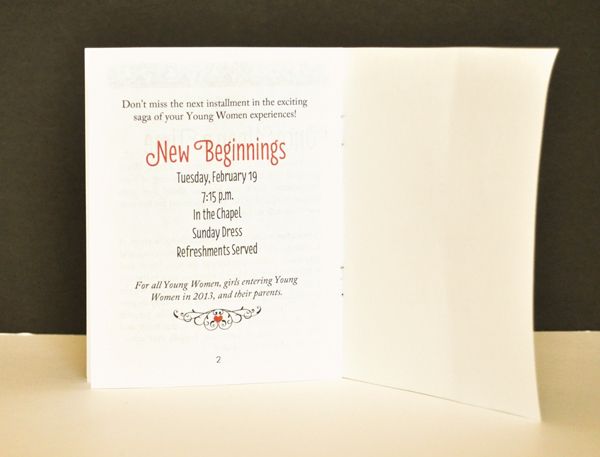 To make creating these invitations easy for you, I’ve made editable and saveable PDF files for you! All you need to do is open the PDF file you want to use (one has this year’s mutual theme on the back cover, one is left blank so you can use it for other years) in Adobe Reader, enter your chosen text in the text boxes, save, print, cut and assemble. I’ve also included JPEG files of each page for you to customize in your own graphic-design or photo-editing software, if desired. 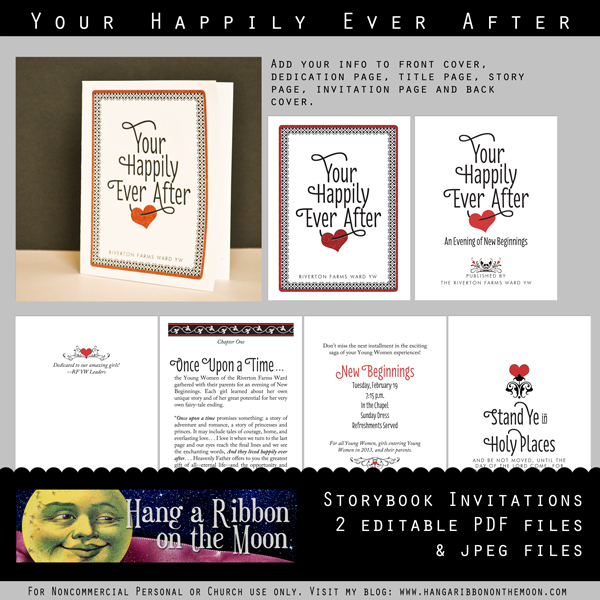 Download my Your Happily Ever After Storybook Invitation here. Do not share my files in any way. They are for noncommercial personal or Church use only. 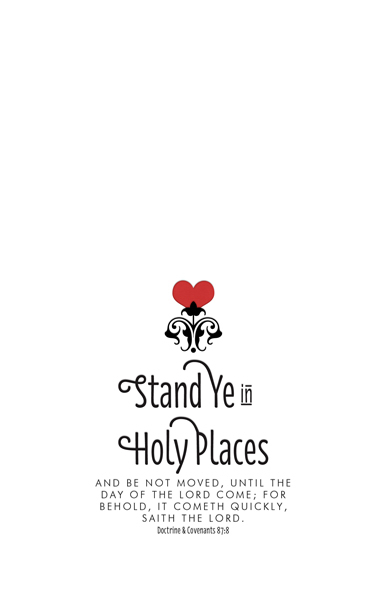 I created a custom 2013 Mutual Theme logo (Stand in Holy Places) and a Your Happily Ever After logo for this activity. So you can customize your own projects, I’ve saved these logos in PNG format for you to use. 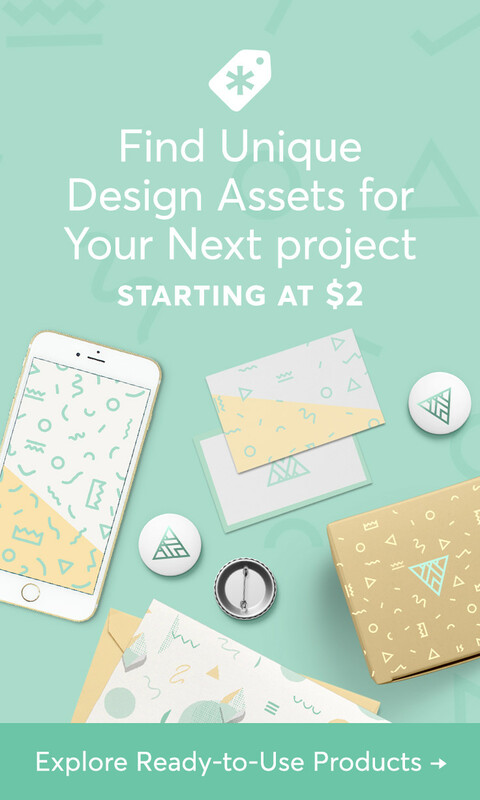 Add them to your designs using most word-processing, photo-editing or graphic design software. 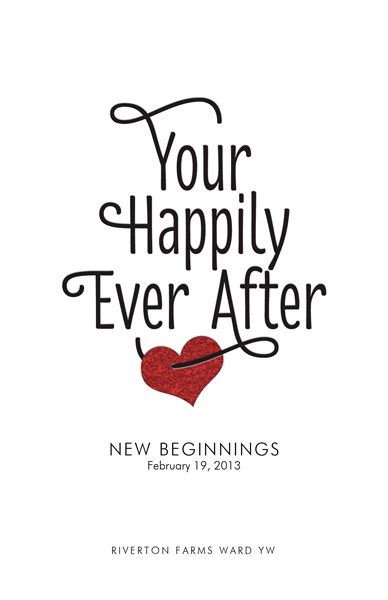 Download my Your Happily Ever After Logos here. 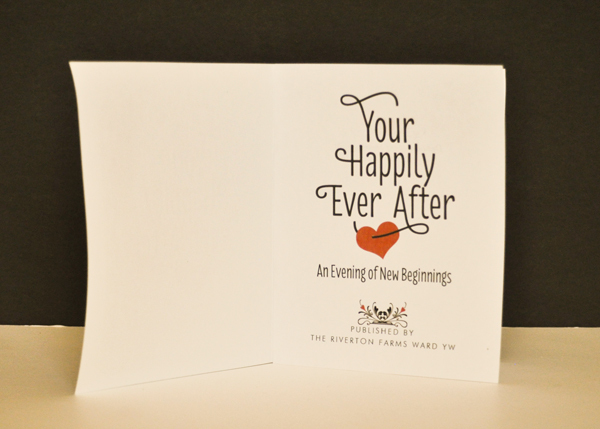 Happily Ever After Program Cover Back (example) File without 2013 Mutual Theme also included. Enhance your activity with my quick-and-easy coordinating program cover. I’ve done all the hard stuff for you–simply open up the program cover file in Adobe Reader, add your information, save and print. If you want to further customize the program cover, I’ve included the JPEG files so you can add your own touches in your software. 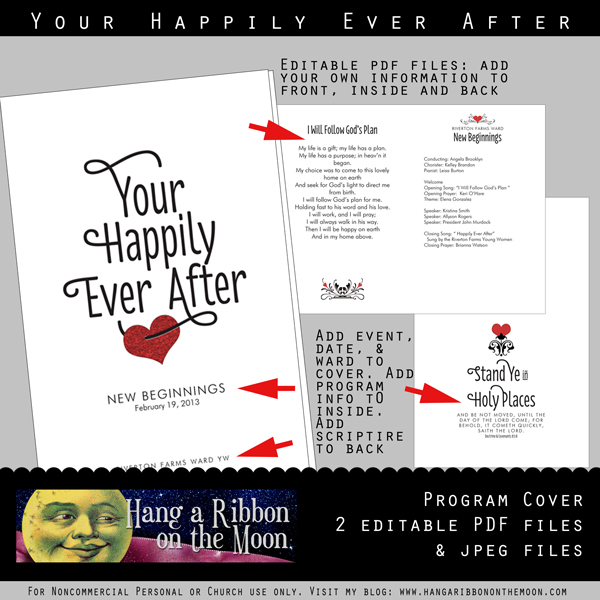 Download my Your Happily Ever After Storybook Program Cover here. 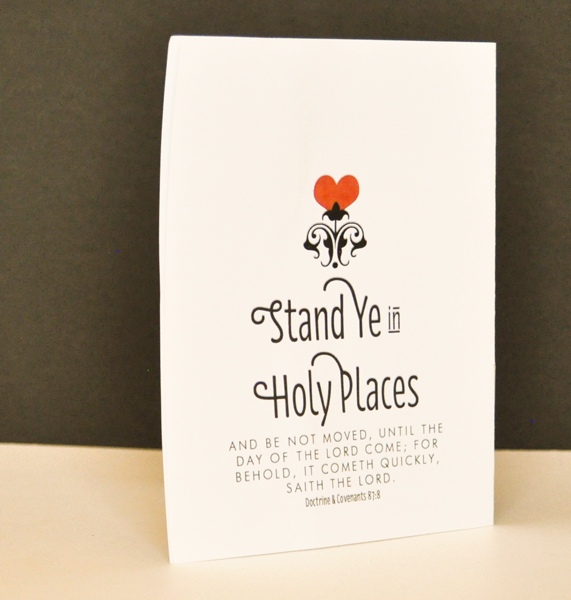 We used Mod Podge to adhere one of these 3×4-inch photo cards to the back of our chalkboard hearts. You can do the same or use one on a different craft project or as a handout. 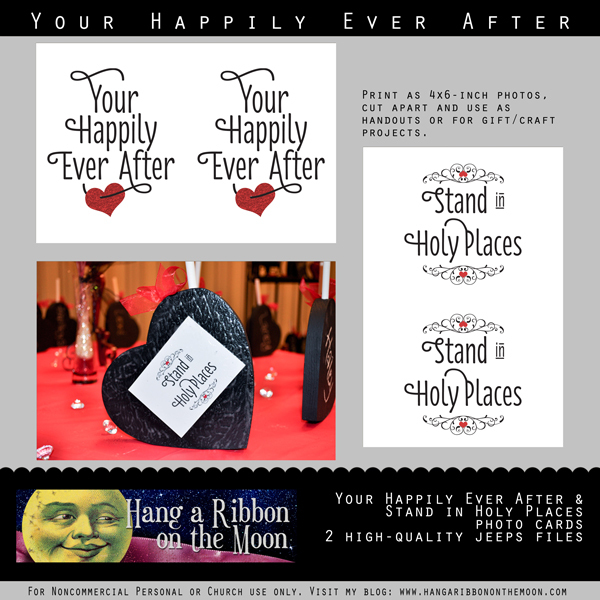 Simply upload the desired photo card file (I’ve included both the 2013 Mutual Theme as well as “Your Happily Ever After” cards) to your favorite online photo printer (like Costco) and have it printed as a 4×6-inch photo. Then, cut the photo print in half to create two photo cards for an easy and inexpensive handout or craft-project addition. 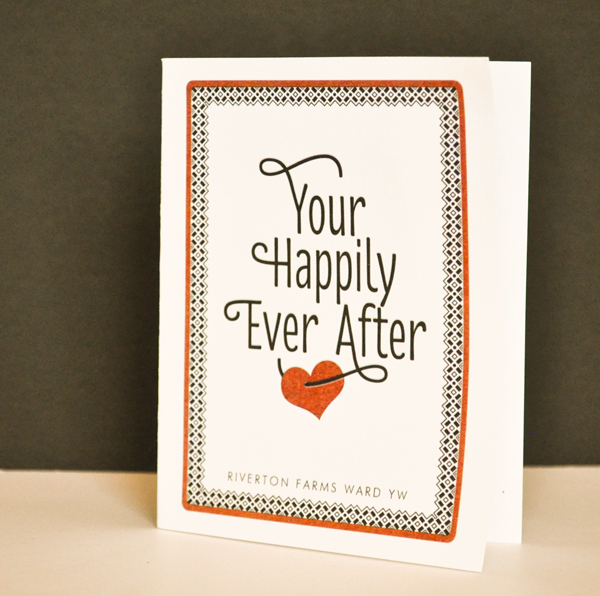 Download my Your Happily Ever After Storybook Photo Cards here. This is a great theme. We are so excited to use it. Could you possibly change the invite and make a new logo for the 2014 theme? It fits so well for our new beginnings next month. Thanks so much for everything you do. Your ideas are awesome! Hi Neisha, love this! I wanted to do a Valentine’s theme for our February New Beginnings. When I add my own text though, it changes the font to a very ugly basic one. Am I doing something wrong?? I change the font in Adobe and it does nothing. You had such cute fonts in the invite! Make sure that your Adobe Reader program is updated to the latest version. That can cause font problems. If you’re still having issues, you can open the JPEG files in your own word-processing or graphic-design software and place text boxes where you need to type information. The font I used for the logo is Florence Regular. The sans-serif font is Futura Lt and the text font is Adobe Caslon.